LivingRoc USA-The Blog: NEW TO LIVINGROC? WE WELCOME YOU. NEW TO LIVINGROC? WE WELCOME YOU. 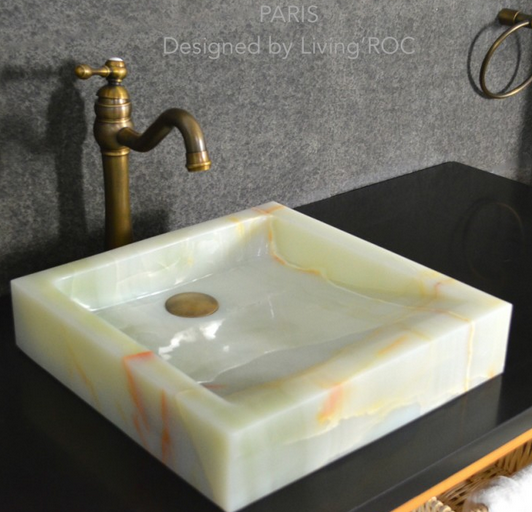 Welcome to Living'ROC USA, the online store of natural stone. Discover our unique selection of trendy and ecological products: stone basins for bathroom, polish and honed black granite, kitchen sinks, stone tables, slate mosaic tables and granite shower trays. Discover the fabulous world of the natural and exceptional materials: basalt, granite, travertine, marble and slate! Here our some of our clients' installations with LivingRoc's natural trendy stone products. Made from Mongolia Black CORAL BLACK is extremely resistant to shocks, scratches and daily use. 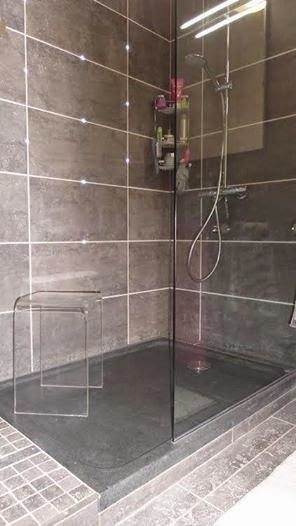 The shower base is built to last a very long time. This natural stone shower base has a proper slope so the water does not stay in the tray (on a rectangular tray the drain hole is on the right side,) we are also taking good care of your comfort and security ensuring reliable, non slip products. Here is our Cocoon Shadow. Add value to your home by transforming your bathroom into an oasis of elegance, calm and tranquillity. 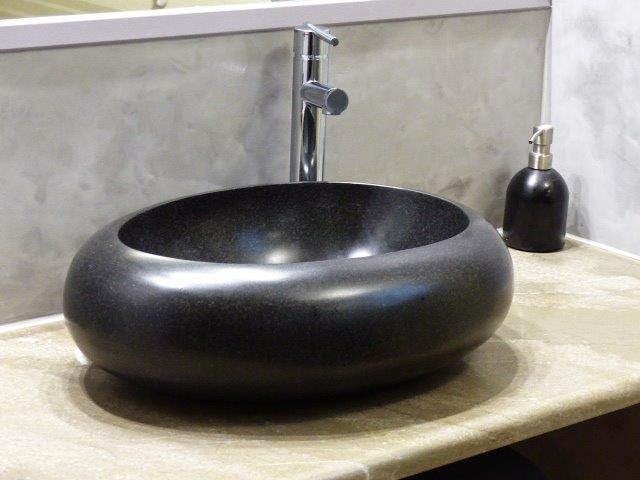 Imagine creating a beautiful bathroom made from genuine black Granite. Discover the well-being and the restful feeling our creation can offer you. Pair these beautiful natural stone products with one of the many sizes of granite shower bases. Made from Granite PALAOS SHADOW is extremely resistant to shocks, scratches and daily use. The shower base is built to last a very long time. This natural stone shower base has a proper slope so the water does not stay in the tray (on a rectangular tray the drain hole is on the right side,) we are also taking good care of your comfort and security ensuring reliable, non slip products. 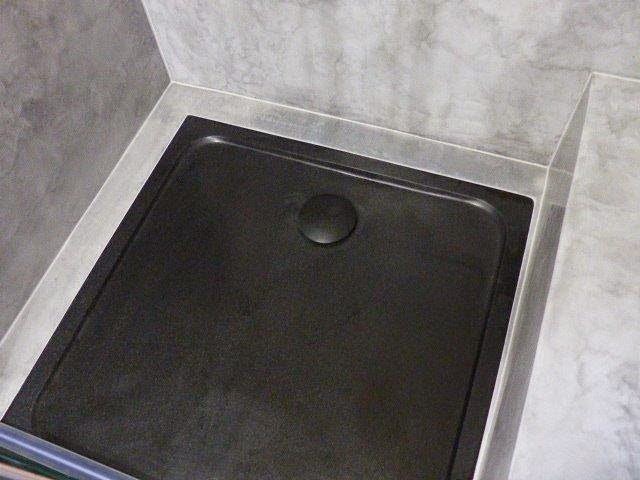 Available in either a gray or black granite you will find what you are looking for in natural stone shower bases. We always welcome you to come visit our site of LIVINGROC and see what could inspire you.